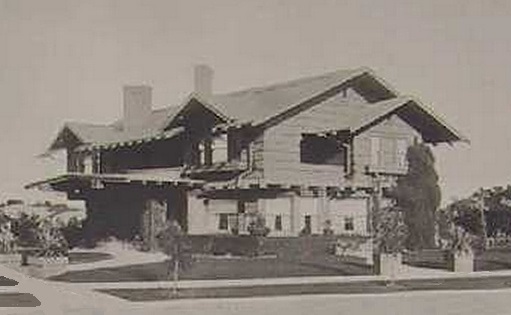 Retired Minnesota plumbing and heating contractor Allan W. Black and his new wife were in their Frederick Soper–designed house at the southeast corner of Wilshire and Bronson Avenue by early 1910. The Department of Buildings issued its construction permit on September 22, 1909; just before the Blacks spent their first night in the house, they were burglarized. Mr. Black, father of four children all of whom had died young followed by his first wife in 1908, quickly remarried Alice Webster, whose son, Leslie, joined them at 4128. After her husband's death in 1918, Mrs. Black stayed for a few years before selling the house to Anna Stine in 1921. By 1930 it had become an illicit club described by the Los Angeles Times after a raid as "an ornate replica of a Tia Juana gambling house." In August 1944, the house was converted to what building permits described as a dormitory hotel, presumably to accommodate the proliferation of servicemen and war workers in the city at the time; interesting, no less than Stiles Clements is cited as architect on the conversion permits and again on those for alteration to offices in late 1945. 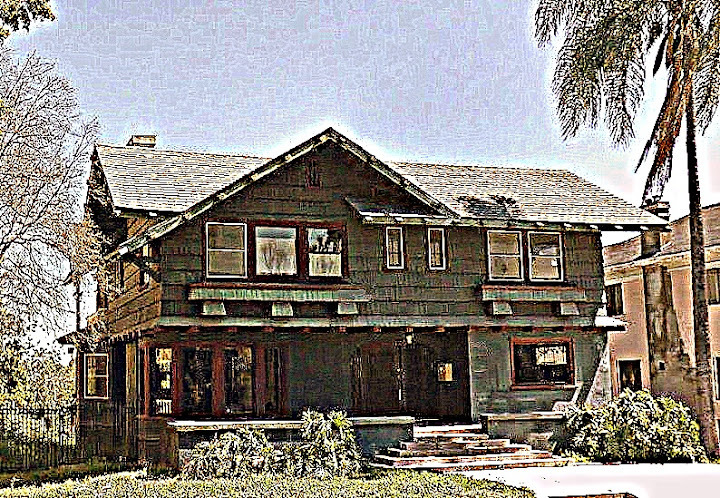 The Van Nuys Investment Company owned 4128 in the late '40s, hiding the original house behind new streetside construction in 1949. This agglomeration appears to have lasted until soon after the Department of Building and Safety issued a demolition permit on December 1, 2000, by which time it had been the home of the Theatre of Arts since 1969. 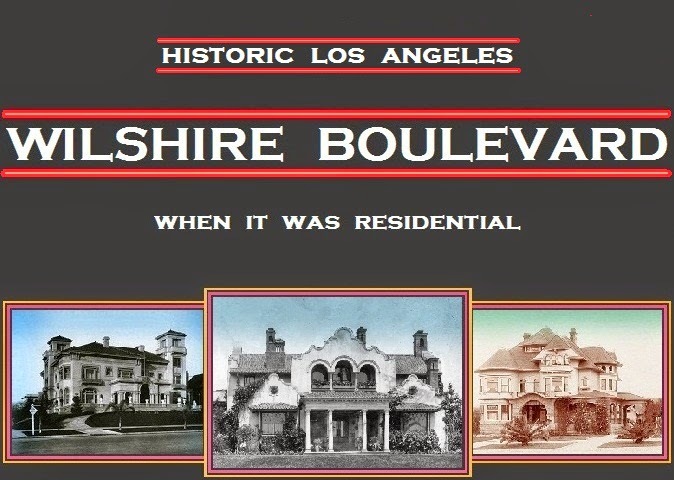 The full story of 4128 Wilshire will be told in due course. 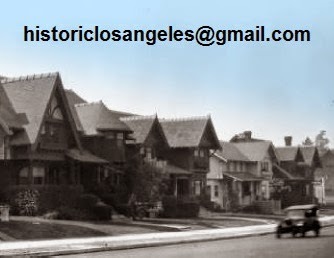 oldest training school for actors in the city, it is now on Highland Avenue.